The workshop is aimed at those who have at least a basic knowledge of the cognitive models and cognitive behaviour therapy for PTSD and psychosis, and who wish to develop their skills in using cognitive behavioural formulations and techniques for working with people affected by post-traumatic stress reactions in psychosis. The content will include didactic teaching, case discussion, role play and small group exercises. Hardy A, Emsley R, Freeman D, Bebbington P, Garety PA, Kuipers E, Dunn G & Fowler D. (In press). Psychological mechanisms mediating effects between trauma and psychotic symptoms: The role of affect regulation, intrusive trauma memory, beliefs, and depression. Schizophrenia Bulletin. Hardy A, Smith B, Gottlieb J, Mueser K, & Steel C. (2013). CBT for Post‐Traumatic Stress Disorder and Psychosis. CBT for Schizophrenia: Evidence-Based Interventions and Future Directions, 35-55. Hardy A, Fowler D, Freeman D, Smith B, Steel C, Evans J, … & Dunn G. (2005). Trauma and hallucinatory experience in psychosis. The Journal of nervous and mental disease, 193(8), 501-507. Steel, C. (Ed.). (2012). CBT for schizophrenia: evidence-based interventions and future directions. John Wiley & Sons. Marks, E. M., Steel, C., & Peters, E. R. (2012). Intrusions in trauma and psychosis: information processing and phenomenology. Psychological medicine, 42(11), 2313-2323. Steel, C., Fowler, D., & Holmes, E. A. (2005). Trauma-related intrusions and psychosis: an information processing account. Behavioural and Cognitive Psychotherapy, 33(02), 139-152. 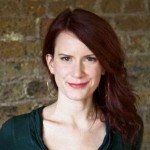 Amy Hardy is a Research Clinical Psychologist for the Psychosis Research Partnership at the Department of Psychology, Institute of Psychiatry, Psychology and Neuroscience, King’s College London. She is the Psychology Lead for Post-traumatic Stress in the Psychosis Clinical Academic Group, South London and Maudsley NHS Foundation Trust, and runs the Lambeth Post-traumatic Stress in Psychosis Clinic. Her research investigates the role of psychological processes in post-traumatic stress in psychosis and she is interested in the development, testing and implementation of trauma-informed practice and trauma-focused CBT for psychosis. Craig Steel is a Senior Lecturer in Clinical Psychology and Deputy Director of the Charlie Waller Institute for Evidence Based Psychological Treatments, University of Reading, UK. 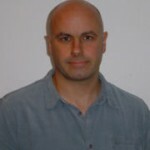 He has been an active clinician and researcher for twenty years, specialising in CBT for psychosis. He has been involved in a number of clinical trials in the area, and is widely published. He is the editor of ‘CBT for Schizophrenia: Evidence-Based Interventions and Future Directions’ published in 2013.